Due to the rapid advances in computer technology, intelligent computer software and multimedia have become essential parts of engineering education. Software integration with various media such as graphics, sound, video and animation is providing efficient tools for teaching and learning. A modern textbook should contain both the basic theory and principles, along with an updated pedagogy. Often traditional engineering thermodynamics courses are devoted only to analysis, with the expectation that students will be introduced later to relevant design considerations and concepts. Cycle analysis is logically and traditionally the focus of applied thermodynamics. Type and quantity are constrained, however, by the computational efforts required. The ability for students to approach realistic complexity is limited. Even analyses based upon grossly simplified cycle models can be computationally taxing, with limited educational benefits. Computerized look-up tables reduce computational labor somewhat, but modeling cycles with many interactive loops can lie well outside the limits of student and faculty time budgets. The need for more design content in thermodynamics books is well documented by industry and educational oversight bodies such as ABET (Accreditation Board for Engineering and Technology). 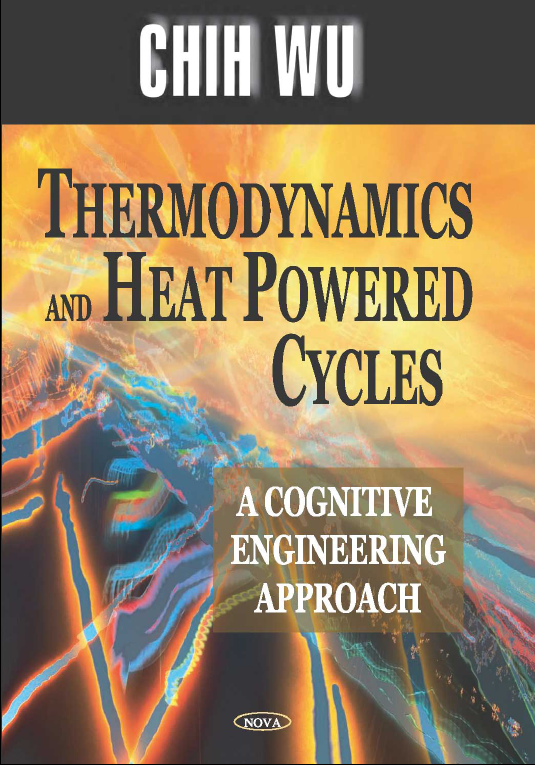 Today, thermodynamic systems and cycles are fertile ground for engineering design. For example, niches exist for innovative power generation systems due to deregulation, co-generation, unstable fuel costs and concern for global warming.